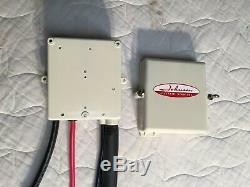 1958-62 Johnson Outboard junction box for 35-40-50hp Electric start motors including the Johnson V50 and Evinrude Starflite 50hp. Sandblasted, primed, painted correct Johnson Creme White and correct decals applied. 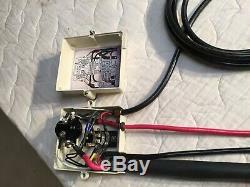 All wiring either new or refurbished. 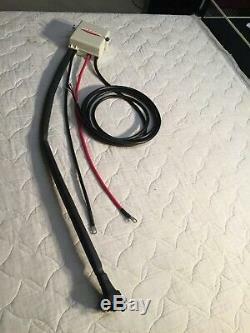 Simply bolt this into your outboard boat, connect to battery, connect plug to motor and run cable to your dash plate. 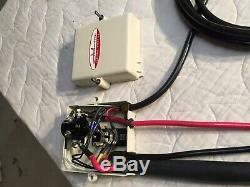 New Junction box-to-dash plate cable suitable for up to 17ft boat. 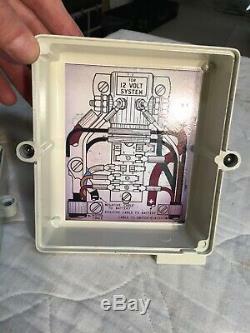 I specialize in the restoration of these 1957, 1958-62 OMC junction boxes. 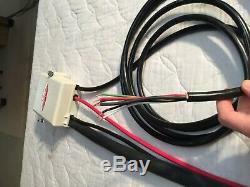 Parts are EXTREMELY hard to come by at reasonable cost. I welcome and like doing trades on these. 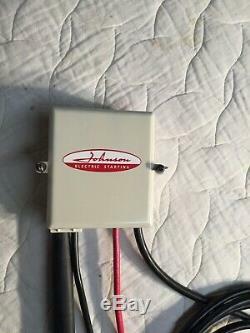 I can give you credit for your unrestored junction box and provide you with a fully restored/ready to use box. If you have parts that you'd like to get rid of, kindly message me and maybe we can work something out. I can make up an Evinrude box as well. 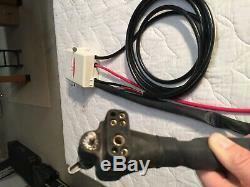 Johnson Seahorse, Johnson Javelin, V50, Evinrude Big Twin, Lark and Starflite. Feel free to message me with any questions or requests. Message me if you are interested. 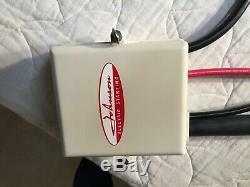 The item "Vintage OMC Johnson Outboard Electric Start Junction Box-Fully Restored 1958-62" is in sale since Monday, March 18, 2019. 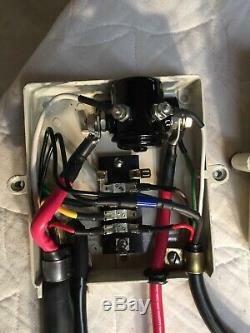 This item is in the category "eBay Motors\Parts & Accessories\Boat Parts\Outboard Engines & Components\Ignition & Starting Systems". 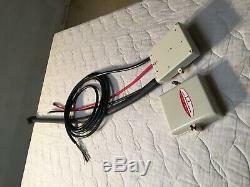 The seller is "murpheys_law" and is located in Canandaigua, New York. This item can be shipped worldwide.